Guitar, strings, and drums make a traditional and catchy alternative Pagan band sound with Celtic roots. It's earthy music whose vocals are also very interesting--the male lead always sounds traditionally bard-like, and the subject matter skips around to many Pagan subjects like magick and mythology. 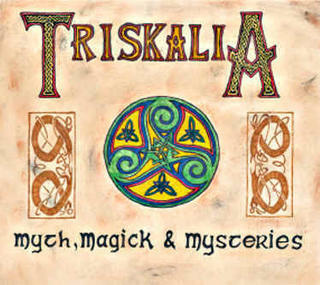 Based in Montreal, Triskalia is made up of some very talented artists, most of who do or have done other musical projects as well. Give them a listen.